When Microsoft released Windows 8 back in 2012 we all thought that nothing could be better than Windows 7, especially if we consider that the new OS was designed mostly for portable and touch based devices. But, of course, Microsoft managed to develop a great firmware, that we have to admit was also a little bit surprising for those used with the classic Windows user interface. Anyway, today Windows 8.1 update has been release, so we should check out what’s new. Now, as you might had already found out, Windows XP will no longer receive official support starting from this year (learn how to keep using Windows XP anyway) so a new update for the Windows 8 platform has been already rumored and also expected by all of us. Of course when talking about an OS update we are talking about new features, stability improvements and other capabilities designed to make the firmware more stable and also better. 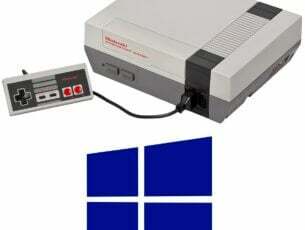 In that matter, during the following review I will detail the features which have been added to the Windows 8.1 system. According to Microsoft, the new features are coming to improve the Windows 8 user experience and for adding new capabilities for the same. All the new improvements are based on users reviews, as since Windows 8.1 first release the devs tried to gather all the opinions left by both entry level and advanced Windows users. Thus, the new update is aiming to smooth up the features dedicated to the touch based devices, as after all this is the future when talking about upcoming gadgets; we see that on each platform that is available out there either we are talking about Android, iOS or Windows. So, with that being said, let’s actually see what’s new in Windows 8.1 release. Shutting down your computer will be easier with the new update of Windows 8.1. Furthermore, accessing and searching for your favorite apps and programs can now be made from the main Windows 8 panel. The new user interface is placing near upper-right corner – just near your account picture, the Power and Search keys. Moreover, using your apps is easier and faster since you can pin your tools (both desktop and Windows store programs) right on your taskbar, which can be accessed with ease by placing the mouse to the bottom edge of your screen. On the new Windows 8.1 update Microsoft added new features for those who are using their devices along with a mouse and keyboard. These improvements are including classic “close” and “minimize” buttons near each app you cross with your mouse. Of course, now by using the mouse you can access the taskbar and your apps which are being already saved there. Furthermore, with your mouse you can decide what to do with the start screen apps – un-pin, uninstall, add to taskbar, resize and so on. There are many other features added in order to improve the mouse and keyboard user experience, so don’t hesitate and test the same in order to make a proper idea about it. By using the new Windows 8.1 update you can access Windows Store faster and easier. By default the firmware is placing the Windows Store icon on your taskbar, from where you can choose anytime to un-pin it if that’s what you want. The best is that after installing a new app, the same will be pointed out in a short alert message displayed at the lower-left corner of the Start screen. With new Windows 8.1, Internet Explorer has been also updated. With IE 11 you will be able to use an intuitive user interface that adapts depending on the device you are using – for example, on a Windows 8 powered tablet, Internet Explorer will be modified in order to provide better touch-based features, while on laptops the platform will offer great support for mouse and keyboard. Even though most of the features added on Windows 8.1 are dedicated to regular users, there are some important improvements that aims the business field. In that matter we must mention Enterprise Mode Internet Explorer (EMIE) and extended Mobile Device Management (MDM). With EMIE you can run apps which are compatible with Internet Explorer 8 on latest version of the web browsing platform – thus you will be able to run and use older apps on your Windows 8.1 device. MDM is basically introducing new policy settings that can be used by enterprise companies in order to develop and manage their own market strategies. Yes, that’s true; from now on you will be able to buy affordable Windows 8.1 powered devices, since the new platform can smoothly run on laptops, desktops or tablets with lower performances. So, now starting from now Microsoft will try to address its firmware for more customers and will try to keep this customers up to date – another reason for you to forget about Windows XP and another market strategy implemented by Microsoft in that matter if you ask me. Of course there are lot more features added on the Windows 8.1 update, but these are the most relevant improvements which were also officially revealed on Microsoft’s official webpage. 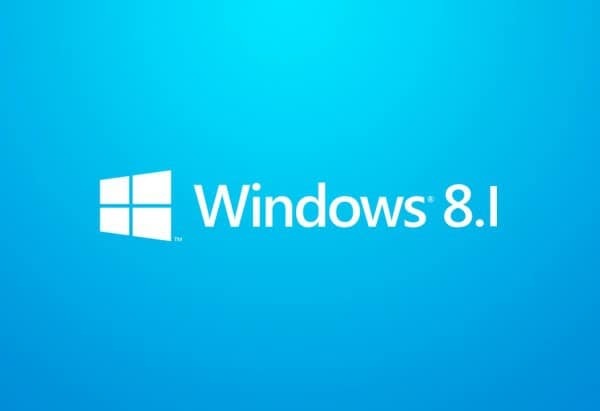 In order to conclude our review, we must mention that the new Windows 8.1 system is coming to satisfy the needs of the users who are used with the classic features of Windows while the others will still use the same Windows 8 user interface that has been designed especially for the touch based devices. Of course, if you want to point something out, don’t hesitate and use the comments field in that matter.